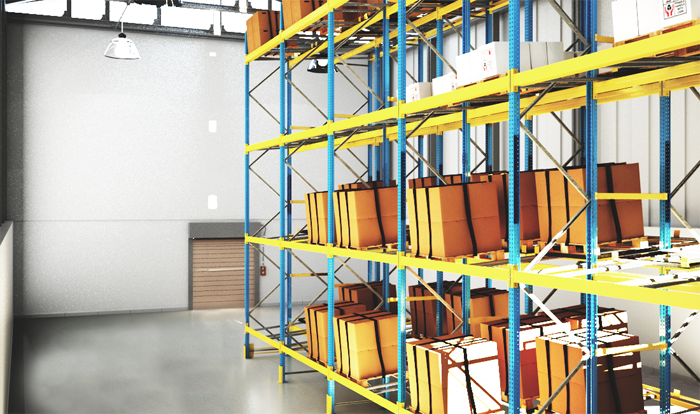 Push back is a racking system that offers high density storage allowing to store pallets in depth direction similar to drive in racking system. 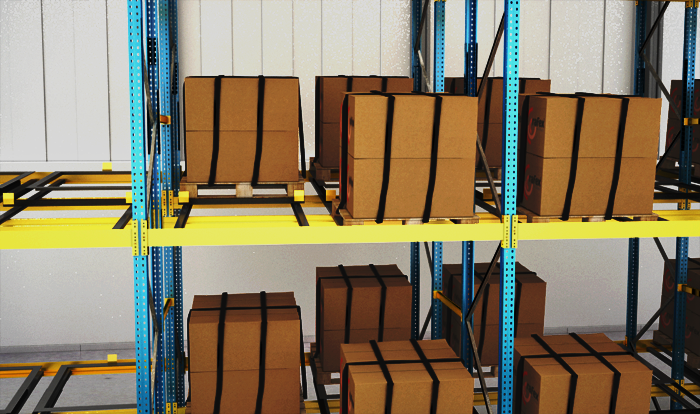 As the pallets are loaded and unloaded from the same side, in this system LIFO (last in first out) principle is applied. 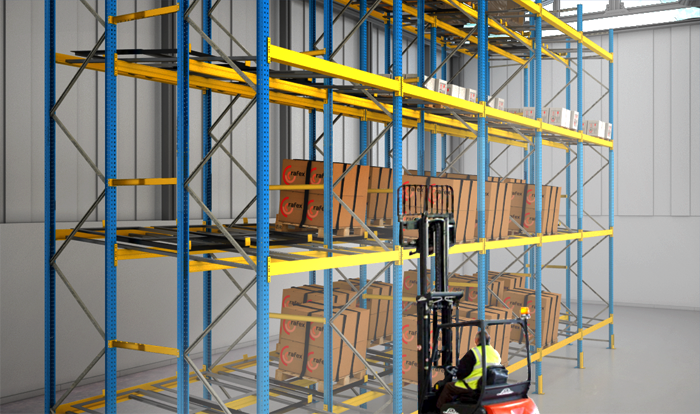 In push back racking systems, there are 2 different options available. 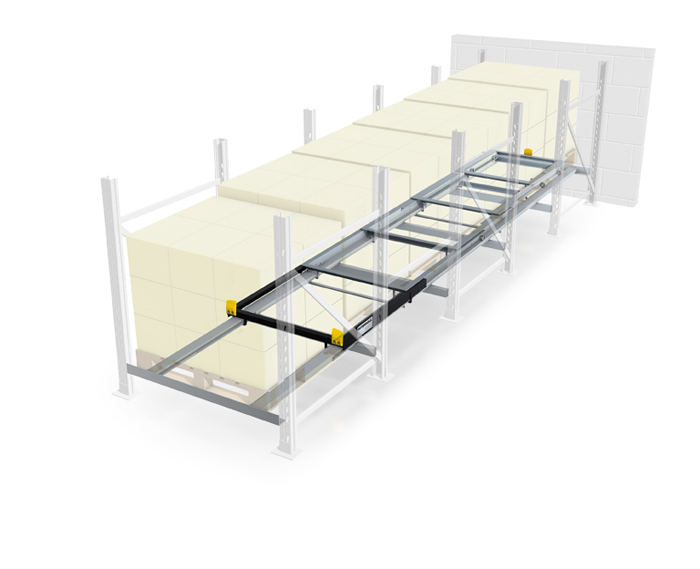 The option with rollers allows the storage of 9 pallets in depth, where the option with trolleys goes up to 6 pallets. In the roller option, after placing the first pallet in the lane, the next pallet is pushing the previous one with the forklift backwards over the roller. 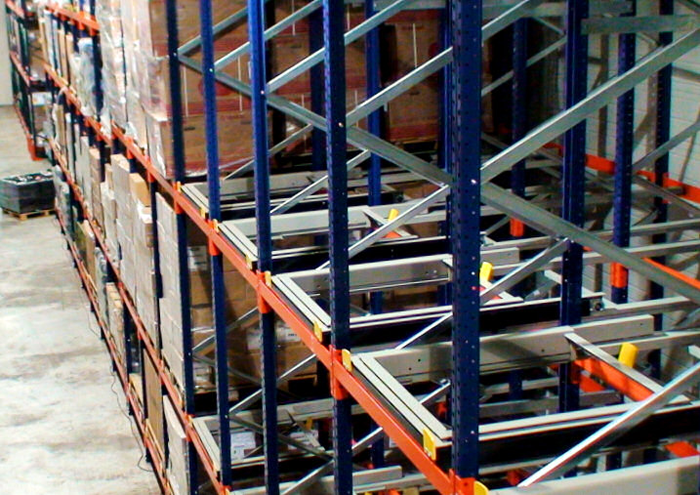 Each pallet is placed in the depth of the system by pushing another pallet. The unloading is done by retrieving the last loaded pallet where the other pallets are sling to the loading/unloading position by means of gravity. 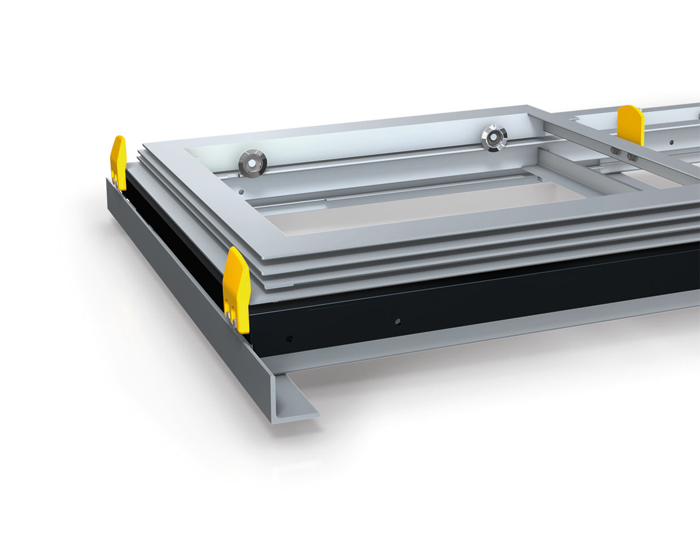 In the cart push back system, instead of using rollers, special designed trolleys are used.